You will Watch One Piece Episode 502 English Dubbed online for free episodes with HQ / high quality. Stream anime One Piece Season 14 Episode 44 Where can freedom be found? A Sad Departure of a Boy! Dadan knocks Bluejam’s shot astray and confronts him. Dadan gives Bluejam an ultimatum: he will let Ace go, or Dadan will defeat him. The Dadan Family and Luffy flee, but Ace refuses to run after them. Dadan orders her bandits to take Luffy away. The citizens discover an escape route. 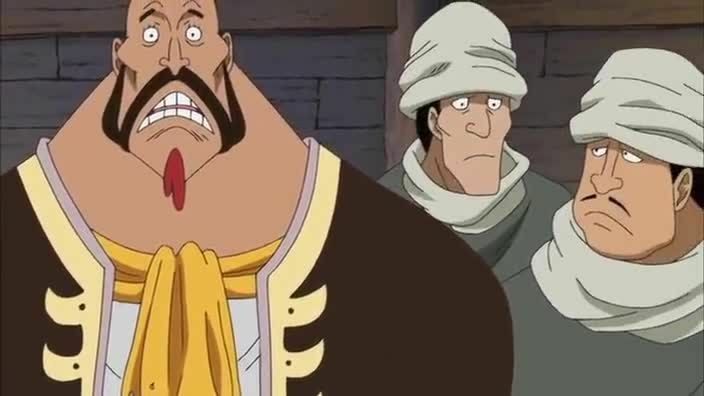 On a ship, Ivankov is told by Dragon that the country would be an example of how it would happen in future events. Meanwhile, in High Town, the citizens are left in horror as it burns down. In Mt. Gogo, Luffy is resting and is upset about missing Ace and Sabo. Back in High Town, Sabo decides to live his life alone as a free man. Just as the citizens discovers that Sabo has escaped, Sabo is confronted by Saint Jalmack, a Celestial Dragon, who shoots at his boat.